Posted December 31st, 2017 by Mike Boyes & filed under Human Development, Stress Coping - Health, Stress: Coping Reducing, Student Success, The Self. Description: As I sit writing this it is December 31, New Year’s Eve (News Year’s Eve Day Morning to be perfectly correct). In previous years around new year’s I have posted about resolutions and about how Psychological research suggests our performance when we strike out into new behaviors as a result of a new year’s resolution is not very good and certainly not sustained even when we start well. Rather than dipping into that depressing theme again for THIS New Year’s I have decided to head off in another reflective direction. 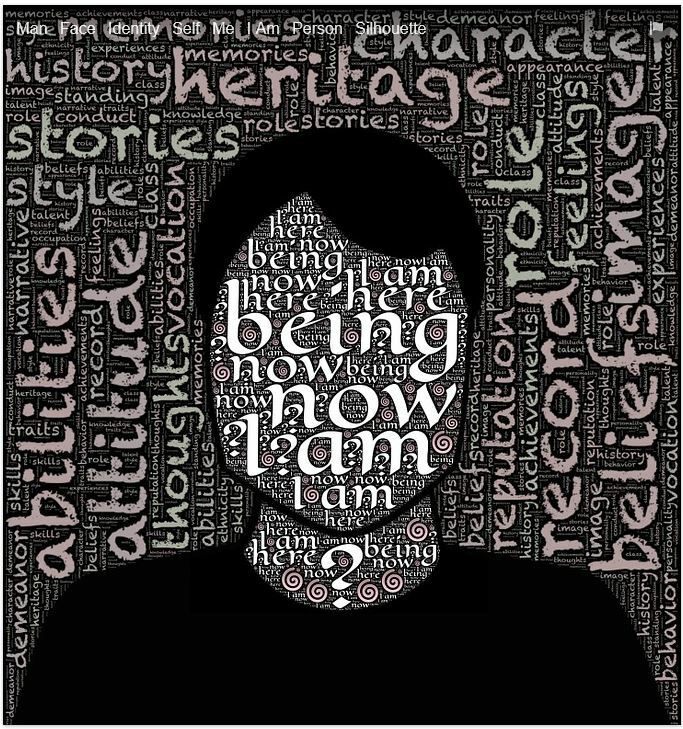 I am posting 3 blogs (this is the first) in which I am talking about the matter if personal identity, an area I have researched in and thought about throughout my nearly 4 decades long time in Psychology. I am going to start with a little reflection on my own research and then move on into an area of application of Psychology to life that I have through about for years and have been working intensively on over the past few years. Before I start I want you to prepare yourself to actively read and reflect upon what I am going to be talking about because, as the title of this blog suggests I am going to try and nudge you along a developmental path that is intended to move you well beyond resolution into action – into identity relevant action. The first thing I want you to do is to stop reading and go to this linked website (https://tinyurl.com/IdentityStyle ) and complete the identity style questionnaire there. Once you do you will, if you have entered your email in the space on the site, receive an email with your raw scores and instructions for calculating your Identity Style. So, what IS an Identity Style? Developmentally speaking, there are a number of what we might call Big Life Tasks we need to work out as we grow and develop (if you would like a roadmap just search Erikson’s Psychosocial Model on line). 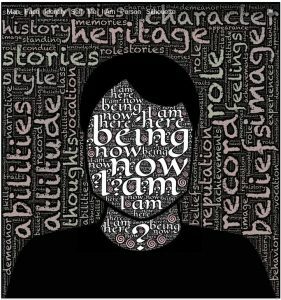 In our late teens and well into our 20’s our Big Life Task concerns identity – figuring out who we are, where we are going, how we are going to get there and what we are going to stand for along the way. Your Identity Style is kind of a summary of how you are thinking about and, to a certain extent, working on this Big Life Task. I have been gathering data on how students manage their transitions from high school to their post-secondary developmental pathways for a number of years now (my sample is over 4000 and climbing) and Identity Style is a good way of summarizing how that transition process is going. If your Identity Style is Informational then you are actively engaged in the process of negotiating this Big Developmental Task. Even if you are not yet sure what you want to do you are investigating possibilities and trying them on for personal size. You feel comfortable in a post-secondary learning institution like a college or university because it is a place that was largely built with folks like you in mind – independent learners figuring out what their academic and life passions are and how they can advance them. You will use the identity information and identity advancement skills you are honing through out the rest of your life. As well, you are not alone, though not nearly as un-alone as you might think. About 20 to 25% of first year university students (according to my data) use an Informational Identity style. Developmentally one might expect this proportion to go up as students move through their post-secondary educational years and it does but now by very much (perhaps by 5 to 10 percentage points). If your Identity Style is Normative you have a pretty good idea in mind of where you are going and how you are going to get there. You are likely heading towards or are in a program of study or career preparation that is fairly well defined, like business or engineering and you have a pretty good idea of what you will do with your degree when you receive it – e.g., go into business or engineering. You tend to make life decisions by looking around you to see both what options exist but also to see what other people are doing in this regard. This approach can work quite well for you as long as defined options exist and as long as you are able to meet the entrance criteria. You are also not alone as about 25 to 30% of first year students are using this style through this proportion goes down by about 5% by 4th year. The remaining Identity Style is Diffused or Diffused and Avoidant and it typically involves not being particularly clear about how you are going to negotiate this Big Life Task and, as well, not being particularly clear about how to get clear. You find the expectations of post-secondary life a bit unclear and you are moving along hoping that things will get clearer. You are REALLY not alone as between 40 and 45% of first year students are using this style. This proportion drops by about the 5 to 10% that the Informational Style increases by 4th year. When I look at what my data tells me about how folks with each of these Identity Styles fair in making their transition to university life, things are pretty clear. I asked them about their adjustment in 9 areas, from Anxiety and Stress, to academic and career issues to family problems and friendship issues – 9 areas of adjustment in all. Succinctly put, 65 of folks using an Informational OR a Normative Identity Style need assistance in either 0 or 1 of these adjustment areas while 65% of folks using a Diffused Identity Style are in need of assistance in 2 or MORE adjustment areas with an average of about 5 areas. When I asked if they had taken advantage of the many assistance resources available to them at their university (and there ARE a LOT of resources for student transition and adjustment assistance) it turned out that Informational Style students were the most likely to seek out and available themselves of those services and Diffused Style students were the least likely to do so. Further, Diffused Style students were more likely to use “do it yourself” supports such as web-surfing or talking to friends rather than access the Student Success center and related services available to them on-campus. What to do? Well this is the question I am going to take up in my next blog but it IS an very important question. Within Developmental Psychology we have assumed that most people successfully negotiate the Big Life Task of forming a personal identity and yet, my data has been telling me that the BIGGEST group of students in university are using a Diffused Identity Style and as such are struggling with this Big Life Task of identity development all through their time and university and likely beyond. The essential question NOT addressed in the Identity Style research literature is what to do about this state of affairs. This is the question I have been thinking about, reading about and working on over the past couple of years and I will talk about one or two of the things I have found in my next blog. Source: Identity Processing Style and Supportive Resource Engagement, Michael Boyes, Ilana Pearson and Jacob Ursenbach. To be continued in the next blog (see list below). What is your Identity Style? Can you see some examples of how it has been used by you in areas like academic decision making, career planning, voting decisions? What sorts of things have you done to work on the Big Life Task of Identity formation?